Just in case no one warned you I’m here to tell you that reading Little Women as a 26-year-old is a vastly different experience than reading it as an ten-year-old. When I was ten this book was absolutely thrilling. I felt a kindred connection to Jo, whose bumbling tomboyishness was often misunderstood and always getting her into trouble. I laughed at the March girls misadventures, knowing well what it was like to grow up in a house full of women and cried body-wracking sobs over (spoiler alert!) Beth’s death from scarlet fever. I remember clearly the look of concern and terror on my mom and older sister’s face when I emerged from my room bleary-eyed and red-faced after reading of Beth’s untimely demise. It was all so unfair! Beth was so good and kind and she cared about her family so much and played the piano so beautifully! Why couldn’t it have been frivolous, selfish, prissy Amy? Once my mom and sister realized what I was crying over I was, of course, teased mercilessly, but my despair over Beth remains, to this day, one of my most epic literary-fueled meltdowns. Re-reading Little Women this past weekend (I know, party animal), I really couldn’t imagine ever having felt so strongly about it. I found the characters dull and irritating, even Beth’s virtuousness in death was irksome, and Jo’s awkward feminism wasn’t at all as transgressive as I had remembered it to be (in fairness, the book was published in 1869). 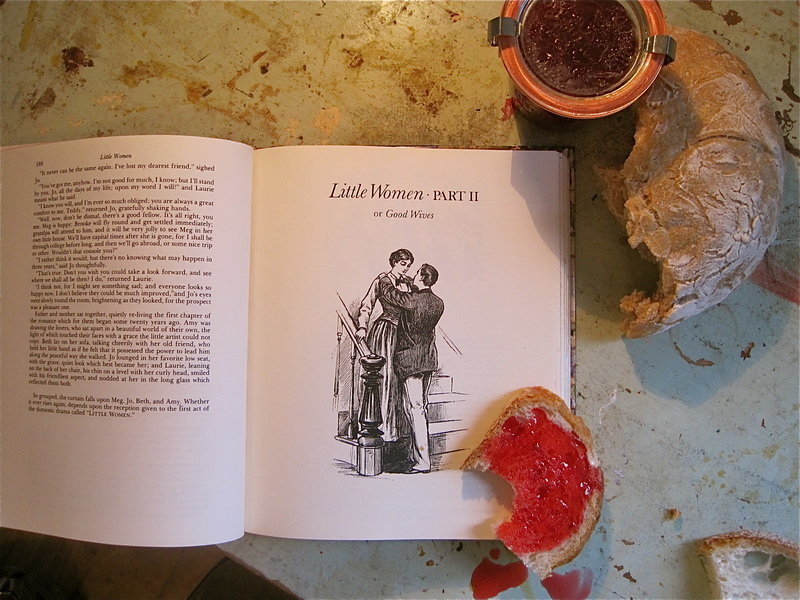 One thing that still charmed me about the book, however, was all of the cooking and baking disasters. 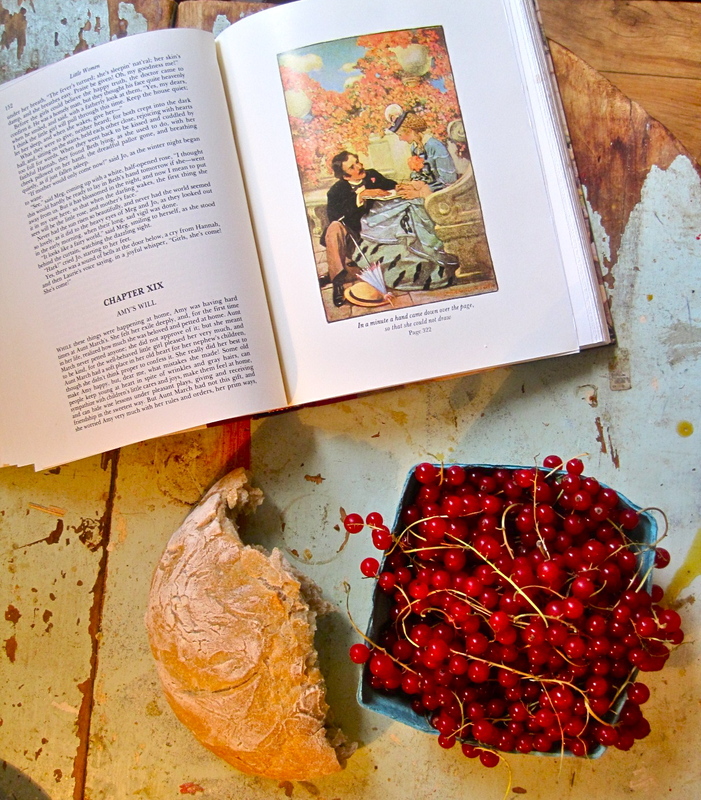 Jo is notorious for her kitchen ineptitudes–scrawny, meatless lobsters, over-boiled asparagus, raw potatoes, lumpy blanc mange and under-ripe strawberries covered in soured, salted cream. 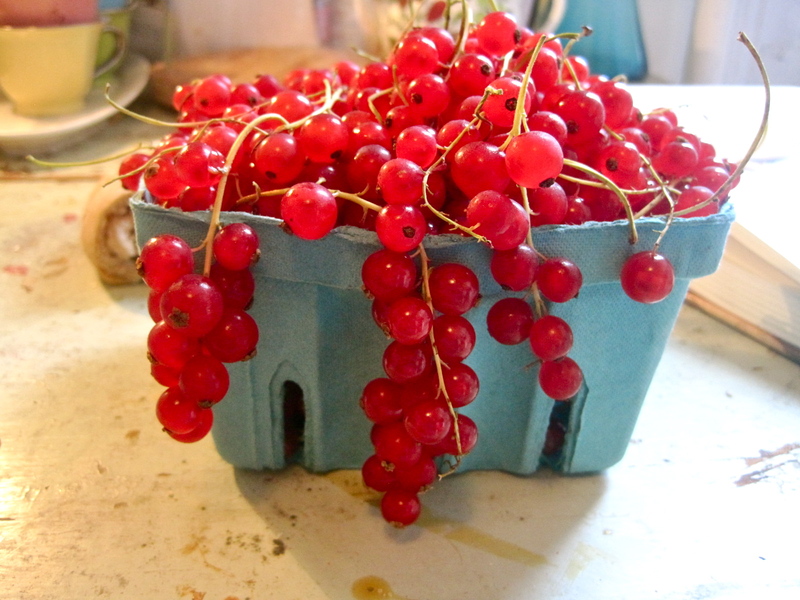 Currants are in season from the beginning of July through the end of August, so it’s possible that you may still be able to find the last of them in stores. If you can’t, though, there are a number of places that you can buy frozen currants online, like this farm in Hudson Valley New York. 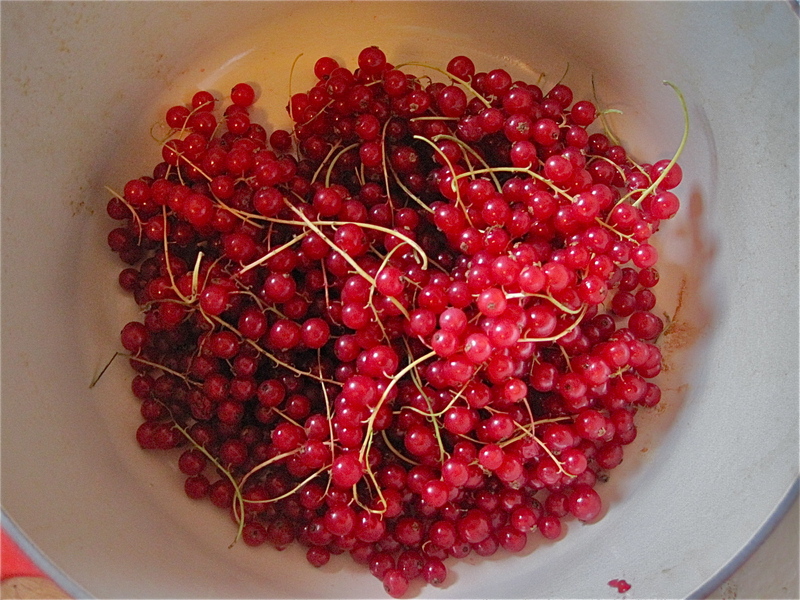 Directions: Rinse currants and place them in a heavy-bottomed saucepan. Crush them using clean hands (a potato-masher or the back of a spoon works too but is less satisfying). Add water and bring berries to a low boil, simmer for 10-15 minutes. Strain berries through cheesecloth into a bowl, make sure to really squeeze every last bit of the juice out, the pulp holds a lot of liquid. 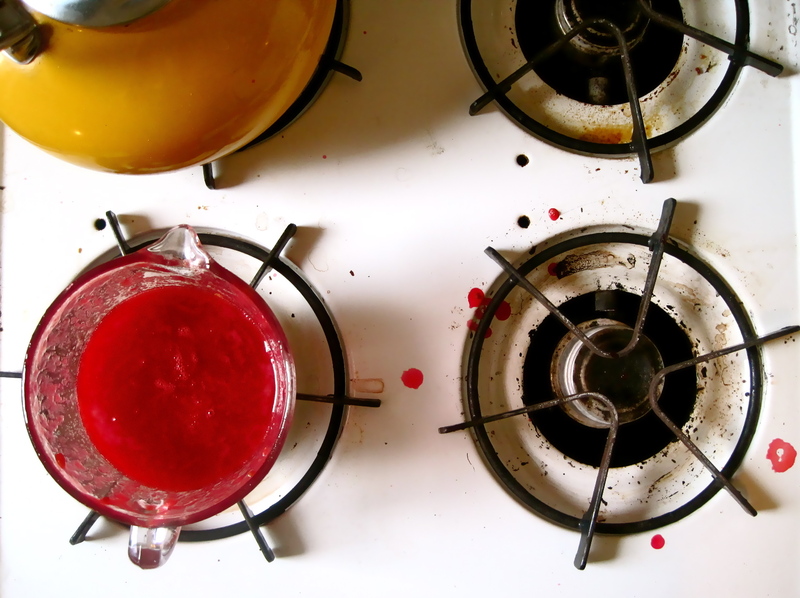 Discard seeds and skin and pour berry juice into a medium saucepan. Add sugar and bring the juice to a boil. Once the juice is boiling add the pectin and bring the mixture up to a rolling boil. Boil for 12 minutes. 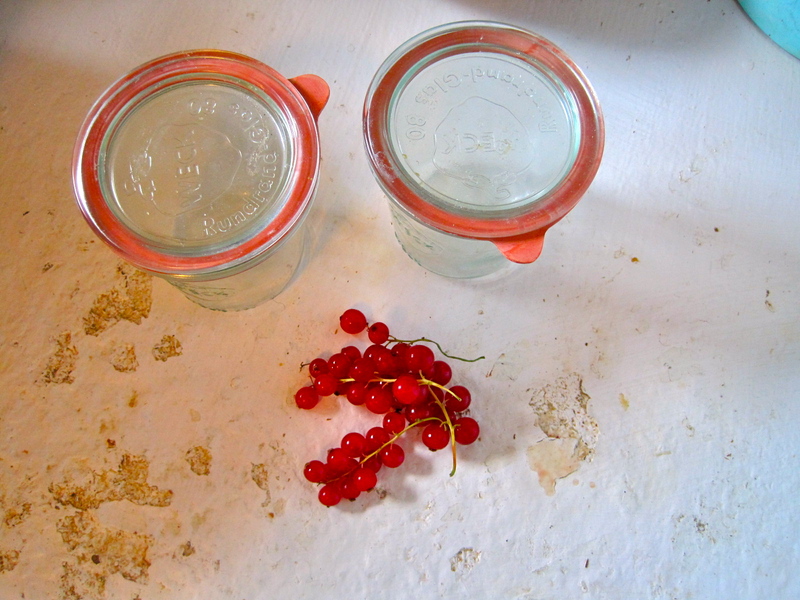 Pour liquid into two sterilized canning jars, skim foam off the top and process the jars according to their instructions (usually 10 minutes in boiling water). Directions: Scoop flour and salt into a medium-sized bowl. In a separate bowl dissolve your yeast in the 1 ½ cups of warm water–105-115 degrees F (too hot and you’ll kill the yeast). Pour the yeast/water mixture into the flour mixture and mix it until it forms a shaggy dough. Don’t worry that it looks awful, it’s supposed to. Cover the bowl with plastic wrap and leave it out on your counter for 16-20 hours (technically you can use the dough after 12 hours, but the longer you can wait, the deeper the flavor will be). 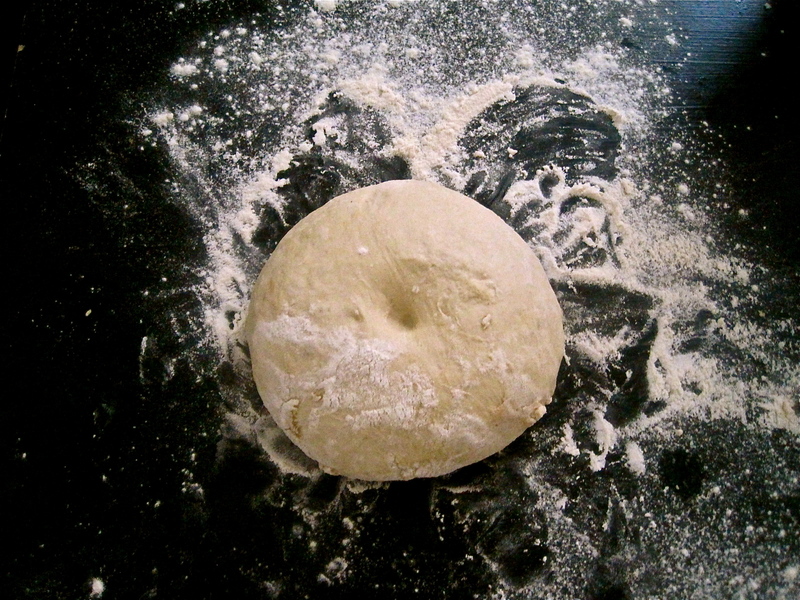 After 16-20 hours turn dough out onto a well-floured surface. You will notice that the bottom that was flush with the bowl is smoother than top. 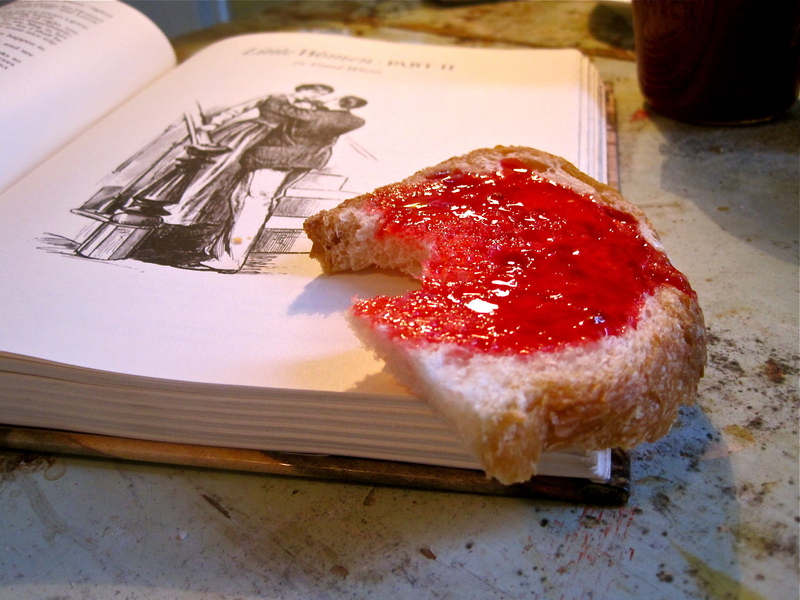 Form the bread into a smooth loaf by tucking the shaggy top, piece-by-piece, into the bottom center of the loaf. The loaf should now have smooth sides and a rounded top (and a little belly-button from all the tucking that just went on). 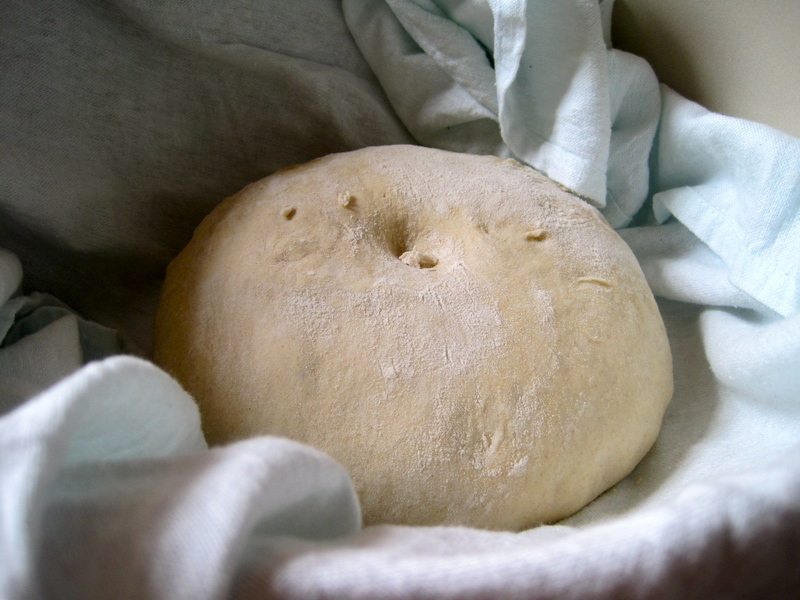 Place your dough in a medium-sized round bowl lined with a towel or parchment paper. 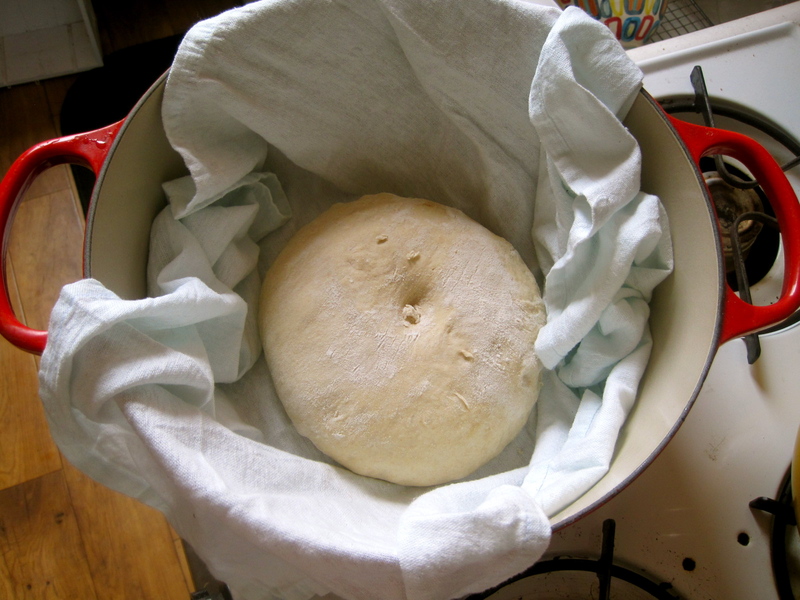 Cover the bowl with a towel and allow the bread to rise for 2 hours or until doubled in size. When the bread has been rising for an hour place your heavy-bottomed pot into the oven and heat your oven to 450 degrees. 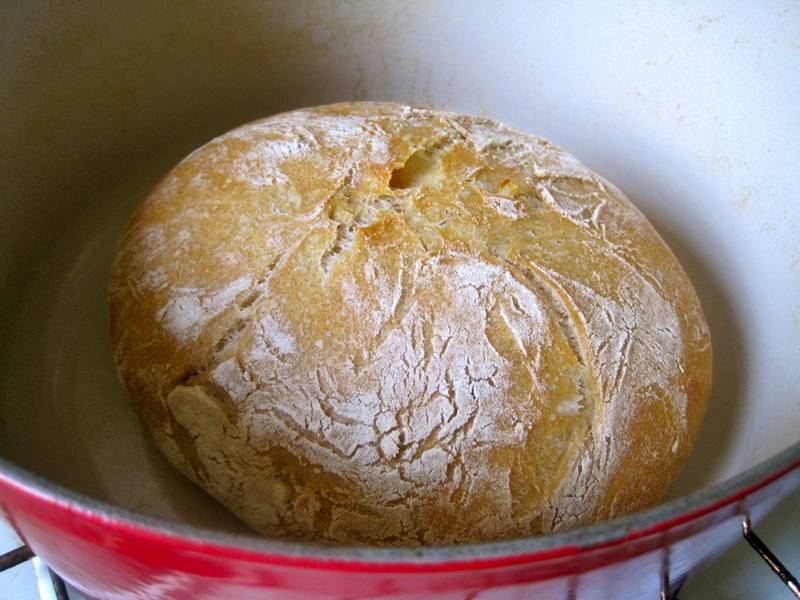 Once the bread has risen for another hour place it into the hot pot, cover with a lid and bake for 30 minutes. After 30 minutes remove the lid and bake for an additional 15 minutes. Cool on a wire rack and try not to eat the whole thing in one sitting (like I did).